3 Bedroom Semi Detached House For Sale in Bury for Offers Over £150,000. 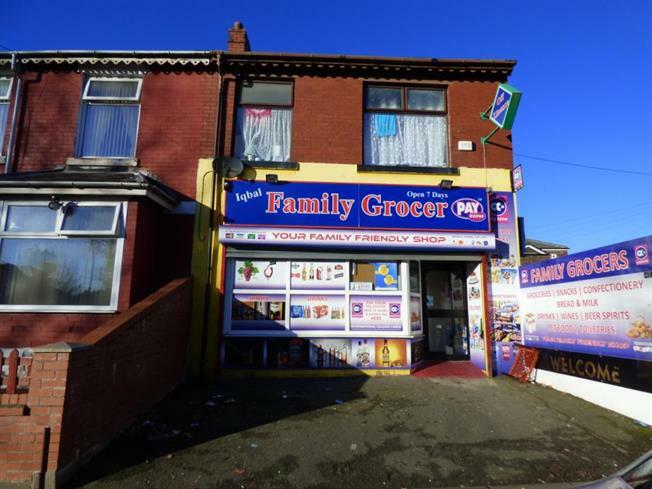 EXCELLENT INVESTMENT OPPORTUNITY Entwistle Green are delighted to bring to the market this former three bedroom family home currently being used as a commercial premises on the ground floor and two bedroom flat with separate entrance to the first floor. Briefly comprising of a shop front, small staff kitchen area, WC and garage/store room. To the first floor there are two bedrooms, lounge, kitchen and shower room. The property is ideally located on the corner of a popular residential estate and within easy reach of Bury Town Centre, schools and excellent transport links. The property is being sold as one unit and the seller is willing to include the stock at an additional cost.